In this post we are going to learn about fixing Typescript Compilation Error TS5037 : Cannot compile external modules unless the '--module' flag is provided. The error is self explanatory as that to compile the external modules you need to provide the '--module' flag. If you are working on Visual Studio and getting this error then you need to specify the Module System as AMD under project settings. 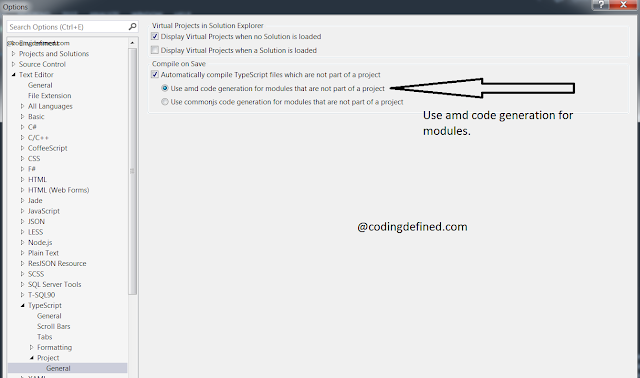 Go To Properties of the TypeScript Project and then change Module System as AMD as shown below. 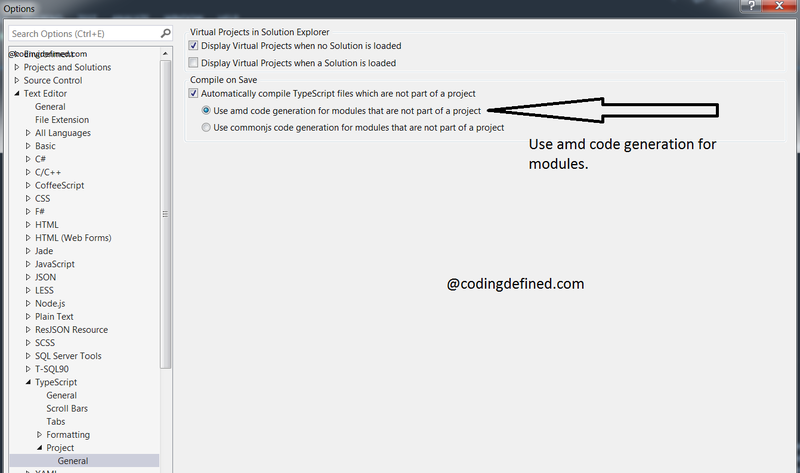 You also have to set the Automatically compile Typescript files which are not part of a project to "Use amd code generation for modules that are not part of a project". To do that you need to go to Tools -> Options -> Text Editor -> TypeScript -> Project -> General and change like below.